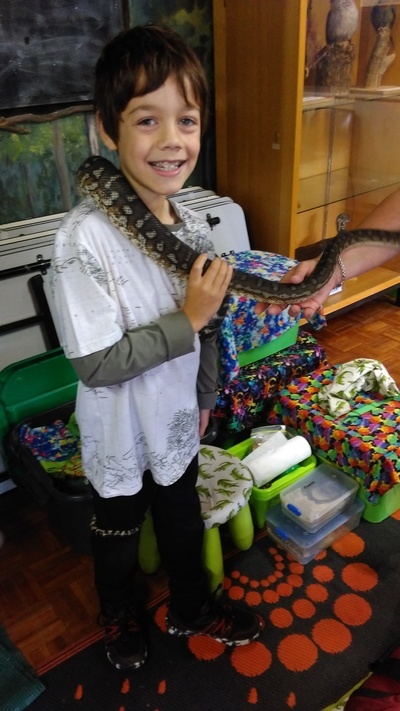 I booked the little fellas onto Eco Explorers' Reptile Encounter Workshop this week, and boy was it a hit! 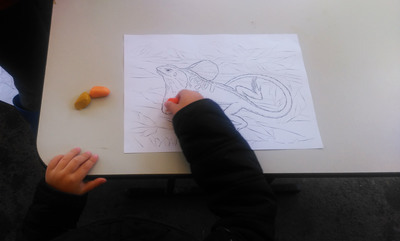 Eco Explorers run 'nature based bush playgroups' in term time for pre-school children at Ricketts Point, Braeside Park, Newport Lakes Reserve, Lysterfield Lake Park, Gresswell Forest, Arthurs Seat State Park and Currawong Bush Park. During school holidays, the Melbourne based nature-led educational business offer hands-on workshops for school aged kids. Now I should start by saying the weather turned the day of our workshop, which took place at Currawong Bush Park in Doncaster. But then April is an in-betweeny kind of time anyway; sunny one day and rainy the next, so we were not going to miss out on our reptile encounters 'cause of a little rain. Rug up and carry on! 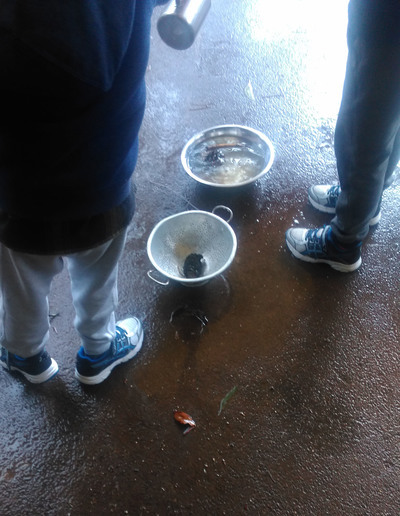 As it turned out, although we arrived during a downpour, the facilities at Currawong Bush Park allowed the Reptile Encounter Workshop to move to the indoor environmental centre/conference room, so the wet weather really didn't matter anyway. After settling in with themed colouring in and a number of eco toys to play with, the workshop host for the morning arrived armed with her beautiful reptilian pets. Children from 4 to 12 were enthralled from the start. When the skinks and blue tongue lizards made an entrance, it happened to be feeding time at the 'zoo'! After each child got to meet these little beauties, all kids got to place a little piece of banana into the central glass enclosure. Fun times seeing which lizard would eat which banana piece! 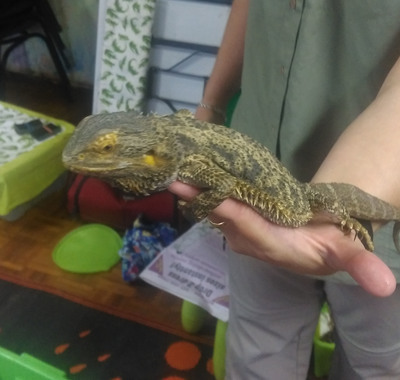 There on in, the kids were introduced to a bearded dragon and her baby 'Pikachu', plus each child got to feed Mumma dragon with a worm. The animals that followed; two pythons, three 'not so ninja' turtles and a 5 year old crocodile called Crikey, delighted everyone. At the end of the workshop, if children wanted a closer encounter with the oldest python, they could. 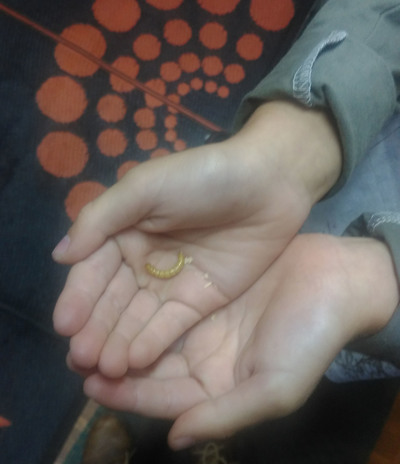 What I liked about this workshop, and I'm sure many other similar workshops, is the importance of introducing animals to children, so they are not in fear of creatures they might encounter in the wild. 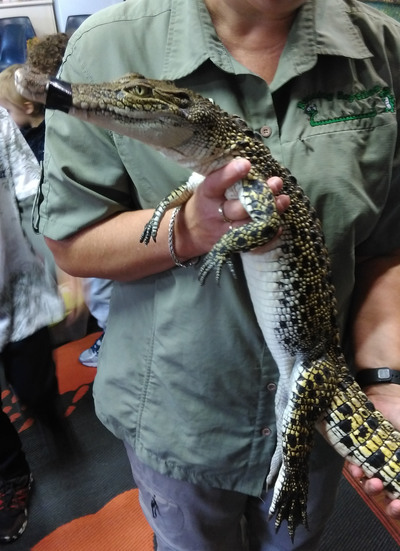 At the same time, obviously we live in a country with dangerous reptiles, but, as the host for the day explained to the children, it's about not approaching these beautiful creatures in the wild, but understanding a little more about them. 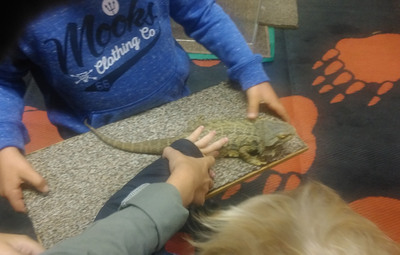 This was the first time Eco Explorers ran a Reptile Encounter Workshop, but due to the success of the day, I am told to expect more in the future. 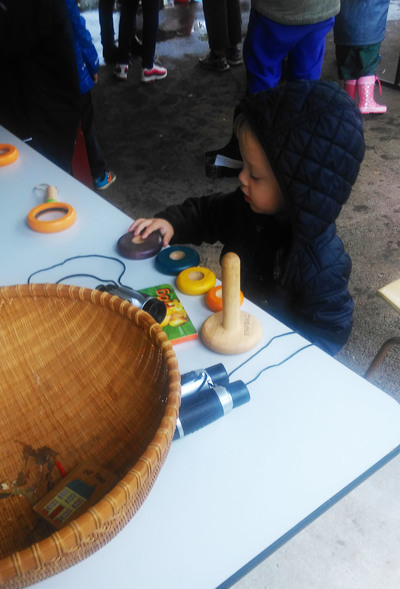 If you have pre-school aged children at home, why not consider joining one of Eco Explorers Bush Playgroups during school term, too. Where: Various parks around Melbourne and Victoria.